Cryptocurrency wallets are numerous, and all of them have something special to offer. Today we are taking a closer look at Hodly (in particular, the mobile version available for both iOS and Android users). It is a cryptocurrency wallet developed by the IQ Option team that promises to deliver everything a successful cryptocurrency trader/investor may ever need. Crypto wallets are usually developed with a certain audience in mind, a set of available features will, therefore, be tailored to their needs. Some people invest in several major cryptocurrencies and need no variety of assets available, the other stick to long-term deals and make transactions only a couples of times per year. Certain holders want their investment as secure as possible. Due to varying needs, each group may want to use a different wallet. But not when they can use Hodly. Variety of assets. Choose from a list of 13 most popular coins and tokens, including Bitcoin, Ethereum, Ripple, Bitcoin Cash, Litecoin, Stellar, TRON, NEO, Ethereum Classic, OmiseGo, Bitcoin Gold, Zcash, OTN. Quick purchase with a bank card. No need to turn to third party solutions or buy one cryptocurrency with the means of another. After all, a bank card is still the most fast and convenient way of purchasing goods online. So why not use it? Choose the cryptocurrency of your liking, click ‘Buy’ and fill in your credit card credentials. It is as simple as that. Quick withdrawal to a bank card. It is equally important to withdraw your money after a successful deal as it is to purchase the cryptocurrency at the right time. The money you get after a sale will quickly find their way to your credit card. Integrated crypto exchange. Most wallets will let you send, receive and keep cryptocurrency but not to sell or buy it. Hodly will. Luckily, it is not the only project IQ Option team has been working recently. Thanks to an integrated cryptocurrency exchange you will be able to sell your assets directly from the wallet, without the need to transfer them to a third-party exchange first. The process is simple and the transaction will be complete in a couple of clicks. Free and instant transfers between Hodly users. Got a friend who is also into cryptocurrencies? 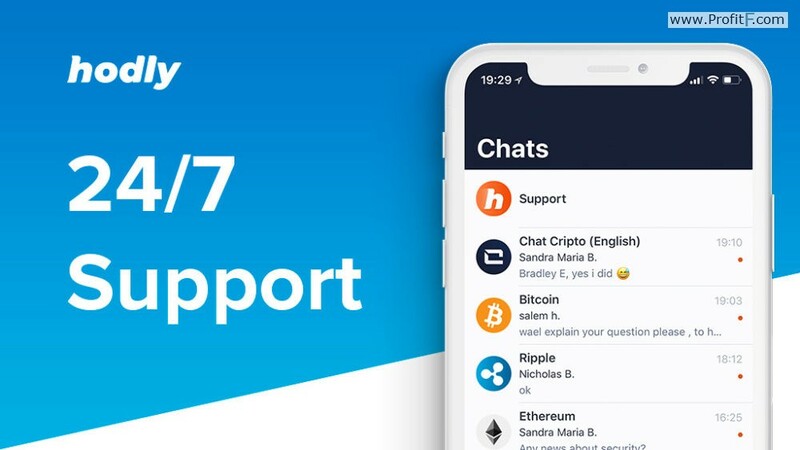 Convince him to install the application — all Hodly users can transfer crypto between each other instantly and with no transaction fees. This feature can be expected to be even more useful in the future, as the client base grows over time. Fast and easy verification process. Most features Hodly has to offer will be available to you even before you verify your account (you will be able to purchase, sell and receive crypto). However, in order to make the application secure and protect the users from fraudulent activities, the wallet will ask you to confirm your identity if you want to send or withdraw crypto. Smart newsfeed. When working with cryptocurrencies, staying informed is extremely important. News, fork announcements, unexpected events create lucrative investment opportunities, but can also trigger massive price plunges. In order to alway be on top, you might want to follow the industry. 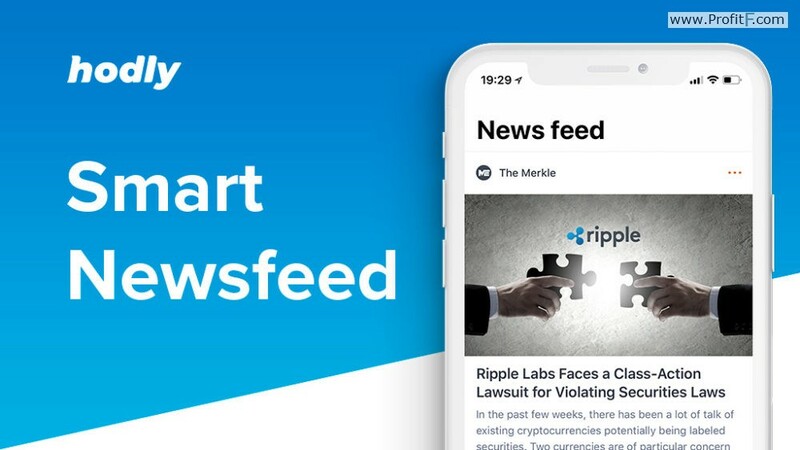 Smart newsfeed will provide you with all the information necessary to make sound and deliberate investment decisions. Cold storage of funds and personal data. Hodly is created — among other things — to make your cryptocurrency investment as secure as possible. All assets and sensible information is being stored offline using the so-called “cold storage” method. The latter means it will be firmly protected, fraudsters and hackers won’t be able to access them. 24/7 support. With cryptocurrency trading still being a puzzling topic (at least sometimes), timely support is of great importance to any trader. When working with Hodly you would be able to contact a highly professional support department eager to help you solve any arising problems in 18 different languages. And yes, it is 24/7. Fork support. Why not keep all you crypto on an exchange when you can sell and buy it right there? Well, there are two main reasons you don’t want to rely on exchanges too much: 1) low security standards and 2) lack of fork support. As already mentioned, Hodly is adamant about the security of your funds. But it also offers users an opportunity to capitalize on hard forks. Imagine receiving profit just by keeping your cryptocurrency. This is what forks are all about. Two step authentication. Another security feature that will protect your assets from unwanted intervention. With two step authentication you can be sure that the only person that would have access to your account and funds is you. 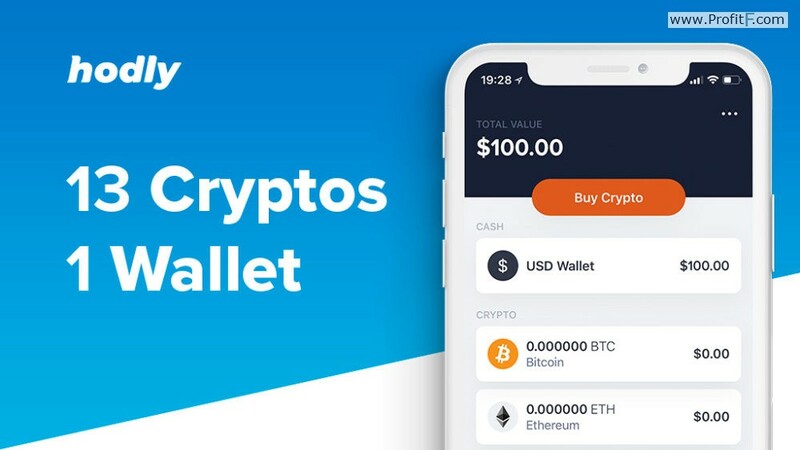 Hodly is a cryptocurrency wallet with an extensive list of features, that will let the user buy, sell, receive, send and keep cryptocurrencies. Available as a mobile application, it provides you with an opportunity to use its entire functionality on the go. 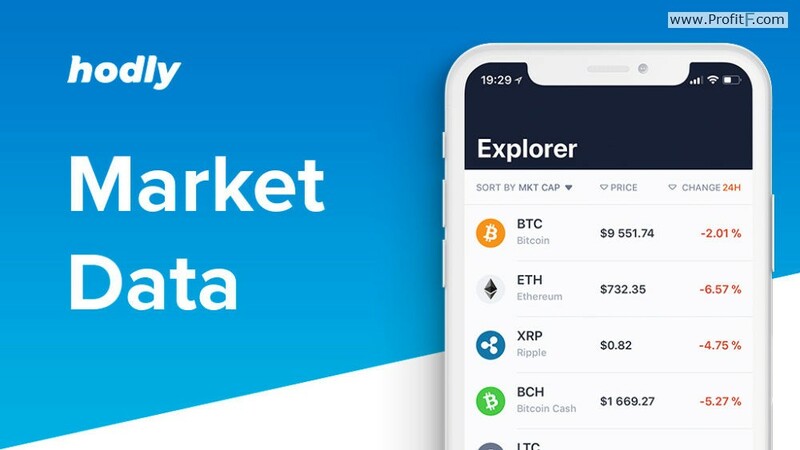 Both short-term cryptocurrency traders and long-term investors will find Hodly useful due an an extensive list of features, high security standards, clean and intuitive interface.